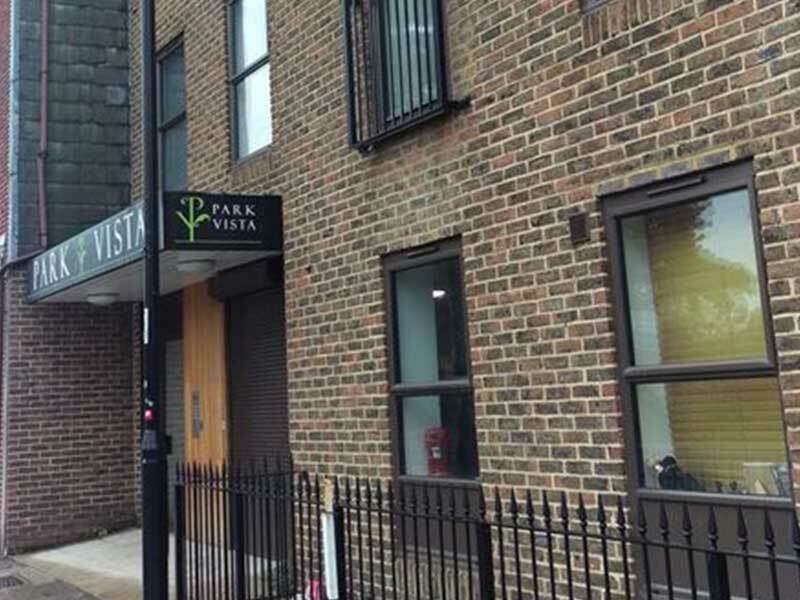 We have taken on this fantastic block of flats in Southampton Central where it had been badly neglected and not cleaned properly in years. 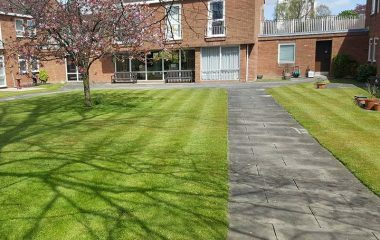 With our amazing team of cleaners, 2 staff managers and a team of landscapers we were confident we could make a real difference here. 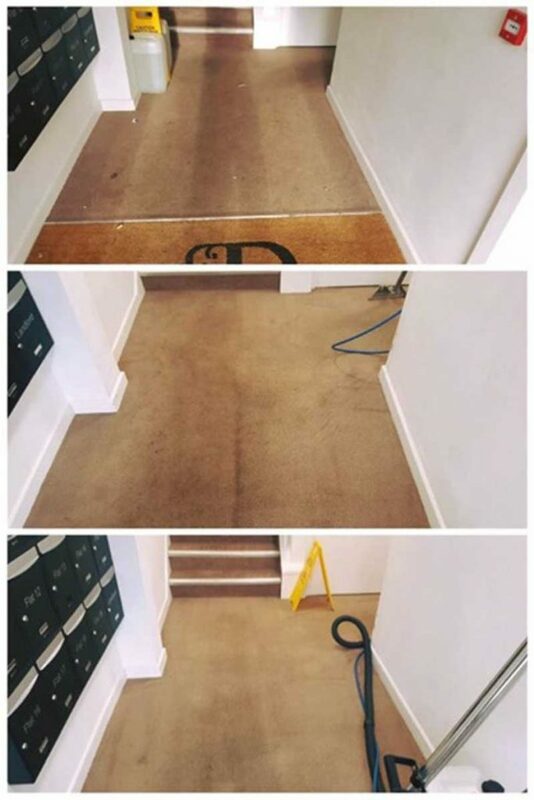 The main communal entrance was looking very worse-for-wear but our Steempro 2000 and Prochem chemicals have done such a fantastic job considering the footfall over many years that had caused considerable damage to the carpet. 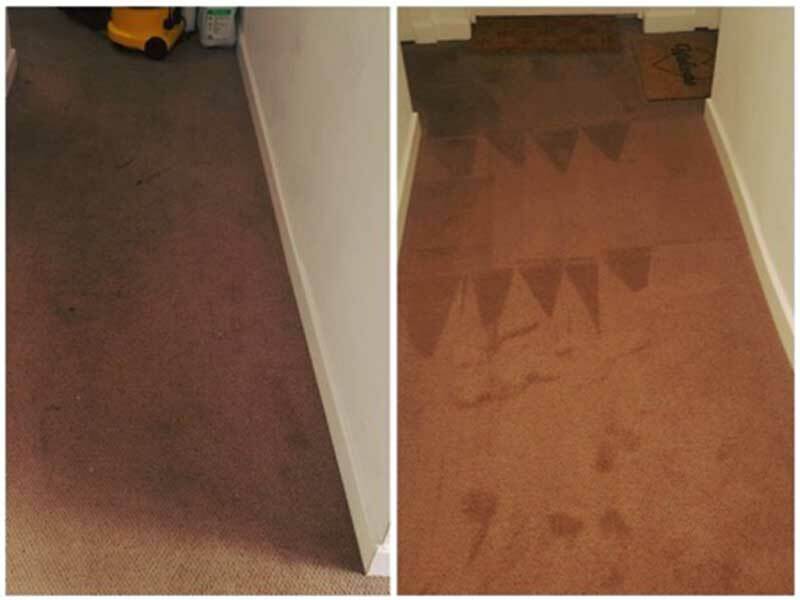 The carpets had clearly never been carpet cleaned but with our Steempro 2000 machine and Prochem chemicals, we’ve managed to lift some heavy soil and stains. 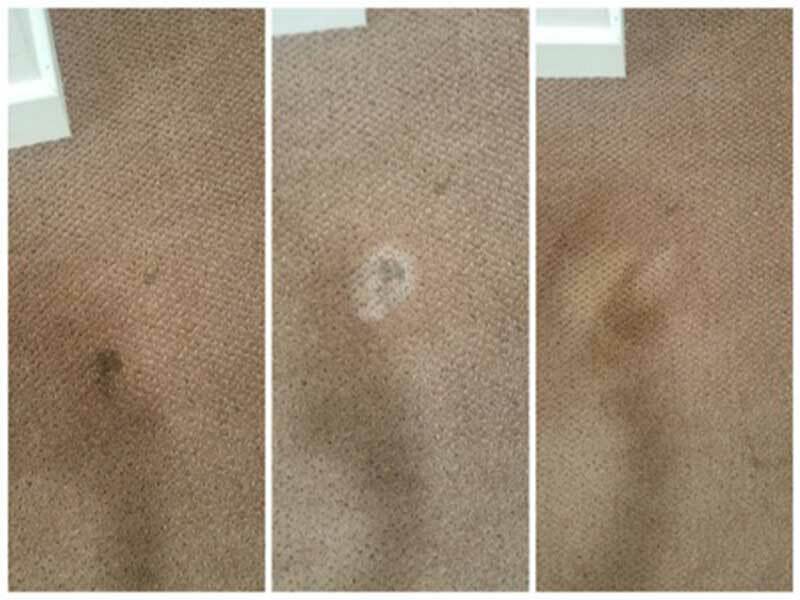 In the image above you can see on the left before, and on the right the carpet after our treatments. 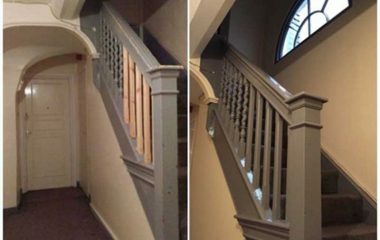 A great timeline of our chemicals working their magic into the stains giving us amazing results. Of course, some stains just aren’t recoverable but it always helps to know what they are first. 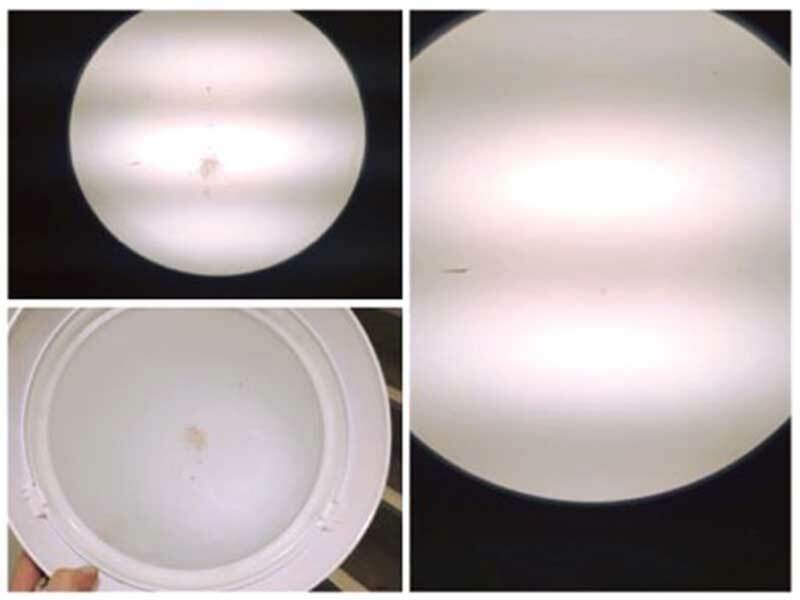 We often find lampshades fill with flies and dust. It’s important we remove the lampshades and give them a good clean on a quarterly. basis. 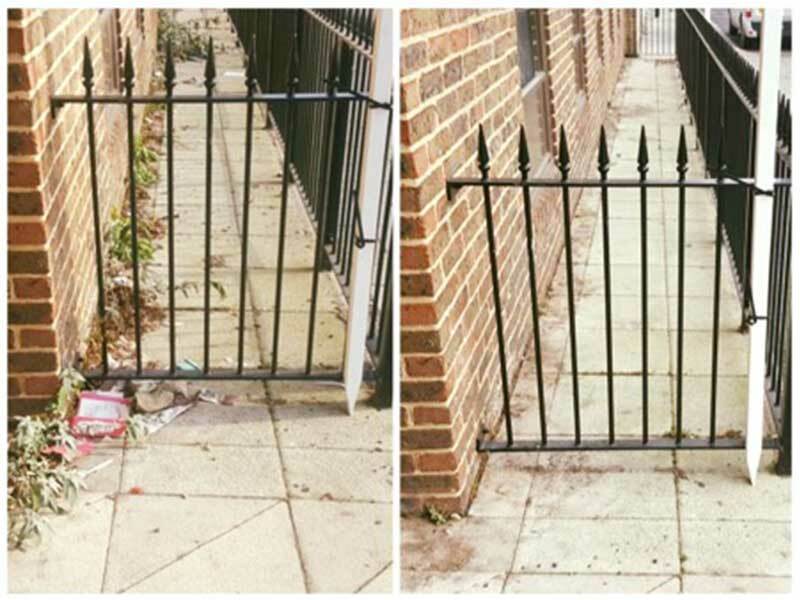 The weeds and litter in the front railings really spoilt the first impressions of this building but with our fantastic weed killers and hard work this area will be looking very smart in no time.